So I’ve done it. I’ve deleted Facebook from my life. Sorry Zuck, you’ve breached my trust one last time and you’re never getting another chance, ever. This latest breach of trust is enormous in it’s breadth and scale. The empty promises made by Facebook after each past breach of trust and/or data are just that, empty. I’ve watched every minute of the two days of testimony and the hours of Christopher Wylie’s testimony and it makes for some very sobering listening. I’ve now permanently deleted my presence on the platform and removed the app and messenger from my iPad. Around 2 years ago I had the app on my Android phone. When the listening and other intrusions into my life became apparent I decided to stop using it. I uninstalled the application and was horrified to discover that the majority of that application – the “background services” – remained on my phone! Apparently, for convenience reasons. Who’s convenience is a mystery obvious. In order to get these background service uninstalled I had to delve down into the Linux terminal on the phone and force uninstall the service using sudo commands. How many users are going to go look for these services? Meanwhile the average user thinks they’ve uninstalled Facebook yet there is the bulk of those applications still installed and running on the device! This is the kind of behaviour that landed Microsoft in the courts in the 1990s. It seems Facebook was getting away with it, or at least has been until recently. Way back in 2011 I was having conversations with my techie friends on how we were waiting for the backlash to arrive. I personally didn’t think it would take as long as it has. I also didn’t think the sheer audacity and arrogance of the company would stretch as far as it clearly has. We were waiting … that wait seems finally over. For them to have known about the Cambridge Analytica issue as far back as 2015 yet stayed silent on the issue is really the crux of the problem. Separate from the obvious technical ones. If you send data to a 3rd party there simply has to be a level of trust. Zuckerburg can apologise all he likes. He can also appear as sorry as he likes, it’s no longer enough. Trust has left the building. It appears some very serious political, collaterally damage is inevitable. If not out-right direct manipulation through the use of the data obtained from the Facebook Graph API. I’ve been reminded why I never used the option to “Log in with Facebook”, so I’ve not even had anything to migrate in terms of security. I just downloaded my data and then requested deletion. For anyone reading this, deactivating is not deleting. 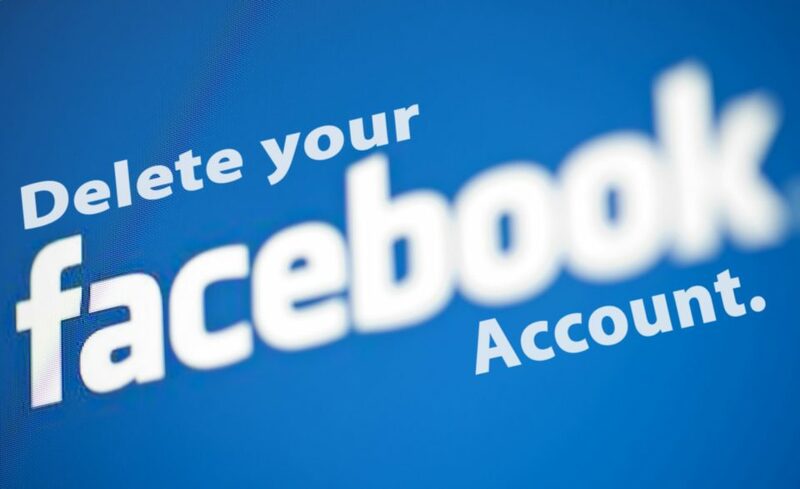 In order to request that Facebook delete your data you have to find this very hard to find page. I couldn’t find a link to this page anywhere in the Facebook support pages, it must be there somewhere. Some people I’ve spoken to have thought this is a little over-reaction. They may well be right but this isn’t an isolated incident. Lets not forget the psychological experiments conducted on users in secret. But it’s OK, apparently they were allowed to manipulate users as it was in the T&Cs. Er … What? Honestly, just go delete your account now. Do it.